You know, I've woken up past six only one or two times in the past three weeks. I usually wake up around 5:30-45. Crazy, but my companion likes to get up earlier, so we do! Christmas at the MTC was pretty good:) Elder Nelson came to speak to us! That was a wonderful talk. There was a Christmas talent show, and I was in it! I accompanied one of the other hermanas in my district. She plays french horn, and she sounded awesome! We came up with the arrangement in an hour, so I feel pretty proud of us:) I don't know quite how we did it, but we managed to have a ton of free time on Christmas. I almost felt bored...but then we continued to do more activities. And we watched a movie, Ephraim's Rescue. It was awesome, and they gave us a treat for it:) I got Milk Duds! Yum! About that investigator that thinks I'm weird; He's been feeling the Spirit, and he wants to read the Book of Mormon! He ordered it online, so it's coming now. Hopefully he gets it today or tomorrow... anyway, he told Hermana Mennenga and I that he was happy to see us and his life has been happier of late! He says he thinks it is because of us. 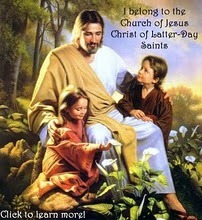 I hope that as he reads the Book of Mormon he will come closer to his Father in Heaven! Our last lesson went great! And, as is tradition, somehow, I managed to have another awkward moment. Psh. Oh well, my companion thinks it's funny:P Today is New Year's Eve! We're supposed to go to bed on time though, so no midnight party. I think...anyway today we got eight new people in our branch (YAAAAY!!!)! This means we get to have our own Sacrament meeting this Sunday!! We got four new elders and four new sisters. I'm excited to meet them tonight! I love ya'll, and as soon as I figure out this whole camera to computer thing I'll send you some pictures!